Supported by consistent hard work of our dexterous workforce, we are providing a broad range of Stainless Steel Flanges. 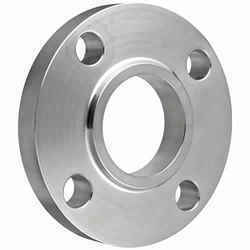 The team of professionals use their knowledge and expertise in designing the offered range of steel flanges so as to maintain set industrial standards. This product is available in diverse sizes and shapes as per market preferences. 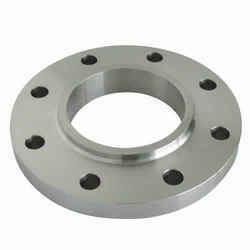 Additionally, the provided steel flanges can be purchased at very affordable rates within the promised time-frame. With the support of our hardworking team, we are occupied in offering a vast range of Mild Steel Forged Plate Flanges to clients. 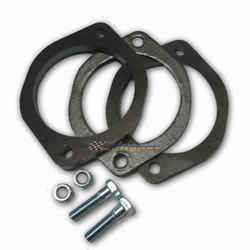 The provided forged plate flanges are appreciated and accepted for their optimum quality and durability. Besides this, offered flanges are thoroughly tested on a series of parameters to ensure its durability and optimum quality by quality checkers. To fulfill ever-evolving requirements of our respected clients all over the country, we are engaged in offering an excellent range of Screwed Flanges. These flanges are manufactured using superior quality material by deft professionals in order to maintain their adherence to set industry norms. Moreover, provided flanges are strictly inspected on various parameters ensuring that only best quality product are deliver to customers. We have gained a remarkable position in the industry by providing a distinguished range of Blind Flanges. These flanges are manufactured under strict guidelines in order to maintain their quality to market accepted norms. The provided blind flanges are strictly tested by quality controllers before delivery at client's premises. 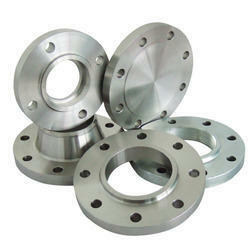 The provided flanges can be purchased by customers at industry leading rates within the given time-frame. 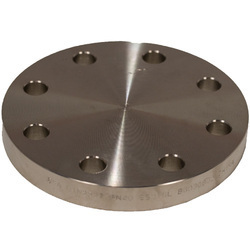 We have emerged as the foremost trader, retailer, wholesaler and supplier of Forged and Plate Flanges that are used in mechanical devices. 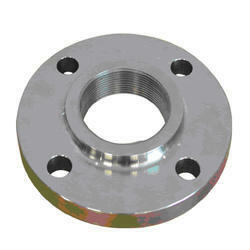 The provided flanges are known for various features like extraordinary surface finish and high strength. Our vendors’ experts use superior quality raw material and progressive technology to manufacture these flanges. 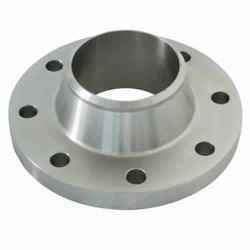 Being client centric firm, we have tested these flanges against different parameters so as to ensure their quality. Our company is engaged in the manufacturing and exporting of an extensive range of Socket Welding Flanges, which is available in various diameters, thicknesses and weights as per clients’ requirements. These are catering to the requirements of construction and petrochemical industries. We offer best quality Slip on Flanges at industry leading price. These devices are bored slightly larger than the outer diameter of the matching pipe. They are used to prevent leakage from both inside and outside. Our high quality slip-on flanges are suitable for lower pressure applications. They are designed to reduce the production cost. They are widely appreciated for their durability, compact designs and cost effectiveness. Applications :Used in quick assembly to save the cost, these are also used in less strict requirements in terms of length of pipe section. 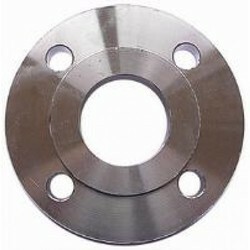 We offer a wide assortment of supreme quality Threaded Flanges. 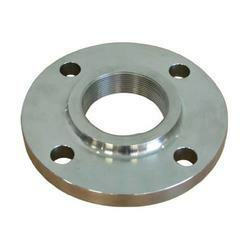 Offered threaded flanges are manufactured by our skilled workforce by using high grade material and modern techniques as per the quality standards. Our threaded flanges are thoroughly checked by our quality department in order to assure its defect free range. 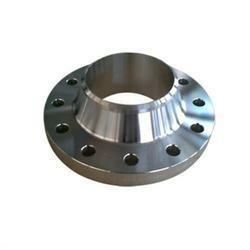 Customers can avail these threaded flanges from us on numerous specifications as per their requirements. Specifications :ANSI B 16.5 from 1/2" to 24" and classes150 to 2500 (complete range). Applications :These flanges are used in special requirements to work under high temperature and pressure, making sure no welding joint is made at the assembly.